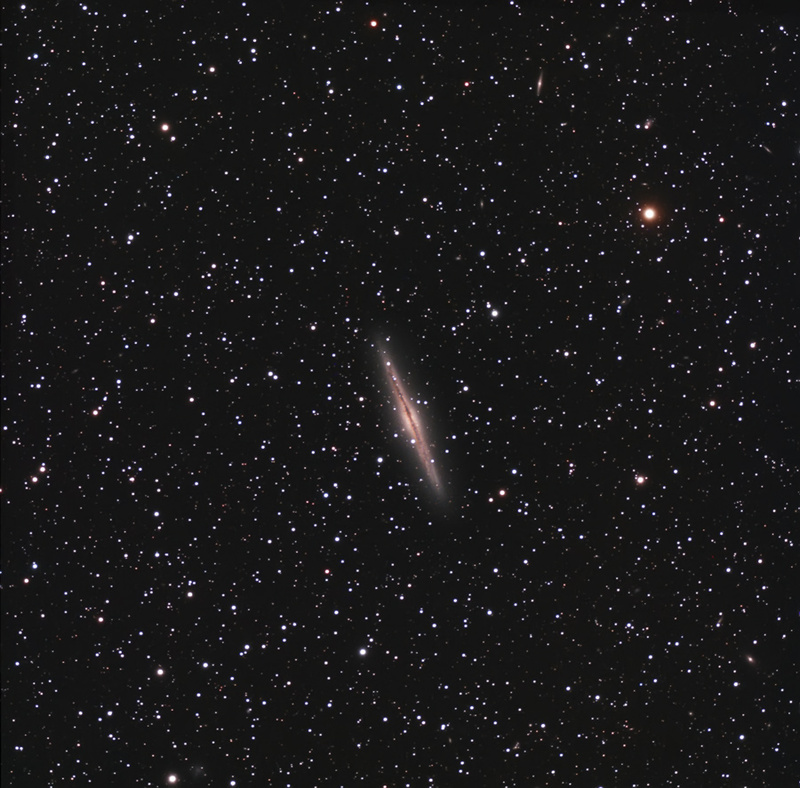 NGC 891 is an edge on unbarred spiral galaxy about 30 million light-years away in the constellation Andromeda. It was discovered by William Herschel on October 6 1784. The galaxy is a member of the NGC 1023 group of galaxies in the Local Supercluster. It has an H II nucleus.Visually, the object is visible in small to moderate size telescopes as a faint elongated smear of light with a dust lane visible in larger apertures.